It's amazing that people are still discovering these books for the first time, and enjoying what they find. 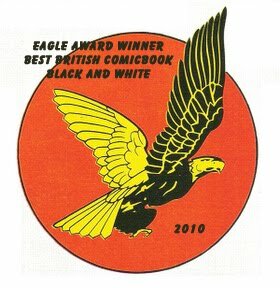 Check out a new review over at Pipedreamcomics.co.uk. A very fair review, I had always intended the second book to be told in the first person from Jack's girlfriend's perspective but it just didn't work out. The Risk of playing Risk. Well, last time I was at Colin's he got the Risk game out and then proceeded to beat Scott and me over the course of a couple of hours. I'd played it a couple of times before over the last decade, but was very rusty. As I played however a plan of attack formed in my mind. Next time, I promised myself, would be different. Colin got the Risk game out. My Green army swept across the board. Pushing the Blue and Orange armies out of Europe and down through North America into South America. Where I finished them off. Scott knew it was all over but Colin still looked for a way out. Every two years there is a Comic event in Copenhagen that started way back in 2004. We've been to every one. Not because sales are always fantastic, we only sold about 10 books at the first one, but because we have made so many friends over their and enjoy seeing how they're all getting on. This year the Con had moved from the usual nice warm June to a pretty cold and damp late February. The venue had increased its costs and so a move to a more 'off peak' time slot made it affordable for the organisers. The usual questions arise when anything changes about a Con anywhere, will the change put customers off coming ? Only time would tell. ...but Mr. Normal was busy that weekend. Arriving just after lunchtime we took our comic laden suitcases to the venue and offloaded. Well, actually we transferred our clothing to a backpack and left the suitcases under the tables. As usual we were set up in no time, so checked into the hotel before making the trip back to the venue for the launch meal. It's always amazing to meet so many people from across Europe, the Copenhagen Con is certainly a draw (excuse the pun) for people. From the UK there was Garen Ewing and Tom Gauld in attendance. Garen seemed to be at his table and sketching all day. Tom was attending panels and sketching but I never saw where. Both were enjoying themselves and remarked on how friendly the Danes were and how relaxed, and yet well run, the Con was. Saturday then was usual for the Copenhagen Comics Con, and supported something we learned at our first event. It starts slow. There's no queue to talk of waiting for the doors to open. That's not the way they roll. By 1pm though it was pretty busy and we were selling well. Colin and Martin Flink were busy sketching for people, another difference in Denmark is that people tended to wander off and come back for the sketched edition of the comic rather than queue. All very relaxed. There was more interest in Stephenson's Robot this visit, last time we had the single issue and the presence of issues 2 and 3 certainly got people looking, and buying. comic themed movies but sadly, for me, it was in Danish. Sunday was pretty similar to Saturday. The attendance felt about the same, sales were about the same and we had a really enjoyable time. Sunday night we were invited back to Arnie's for a meal with his family, it's amazing how the two girls had grown in the 18 months wince we were last there, they remembered us though, mainly I think due to my separating thumb trick :o! Monday was our chance to unwind a little and catch up with our good friend Soren Pedersen. We got the train out to his town, a bit like a suburb in the UK, and enjoyed a meal and chat with him and his wife Bibeke. We had a lovely meal at Esthers Spisehus and enjoyed a funny moment when Colin thought the lady owner's name was Esther. Ah well, that what happens when you make assumptions. Esther was the name of the street or area. As always, it was great to catch up with Soren (who used to own one of the Comic shops in Copenhagen) and spend the afternoon talking about all sorts, this year we discovered his passion for deer paintings, ornaments and ... even a large head (which he said he is looking after for his son ... we'll see if it's still in his house in 2 years). And then it was Tuesday, and time to leave the city we have come to know so well. Colin proving he's not keen on dogs, even if they're made of resin. We may be going back next year for Arnie's Art Bubble event... let's say that we're very tempted.